We've been trying to get memoirs from retired and not-so-retired Campion jebbies for our newsletter for quite some time. We don't care if the memoirs are about when they went to Campion, taught at Campion, or just what they've done since leaving Campion. We just want to hear something from our mentors in the first person. Perhaps words of wisdom learned while IHS. Typically we only get 3rd person post mortem. Not to lay all the blame on the jebbies... why can't we get memoirs from more alumni. Where are all those other authors and editors of the old 'ette. It is hard to believe that is already 7 years since Hugie '47 turned over the reigns of the Campion Forever Newsletter to me before he passed. 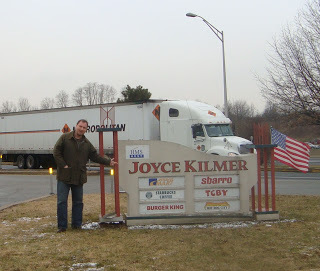 I had helped him start it 17 years ago by hosting his early PDF newsletters on the C-K site. While it has been a task getting people to submit articles, there are a few dedicated alumni and jebbies who do regularly provide ideas for articles. This is a good thing, else I would have to conjure the 'Ghost of Joe Campion' for ideas more than I care to. Thanks Tom for the never ending Campion saga of men who went to this very unusual prep school out in the wilds of Southwestern Wisconsin. I graduated in 1954, went to Marquette University, married my sweetheart from Milwaukee, and started our world wide travels. We lived in Puerto Rico, Turkey and Greece before settling in Richmond Virginia. I kept in touch with classmates from Campion and have been friends with several for more than 60 plus years. It's been a good ride. As Bob Hope said "Thanks for the memories"
Freshman religion indoctrination was taught by Fr. Aspenleiter. One of the first things I remember him teaching used this diagram. He drew on the chalk board the words earth at the bottom and Heaven at the top. He proceeded to declare that everybody can go to heaven. 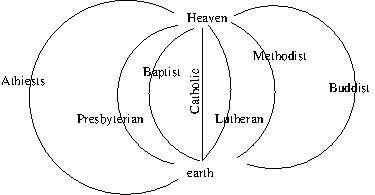 Lutherans can go to Heaven as he drew an arch from earth to Heaven. Baptist can go to Heaven as he drew another arch. Presbyterians can get to heaven as he drew yet another wider arch. "And even Methodists" (of course we had no idea why he kind of chuckled while stating that). But on he went drawing arches. Even Buddisht and Athiests will get to heaven, albeit a longer harder path for them. Lastly he drew a straight line from earth to Heaven while stating "but the shortest path to Heaven is right up the middle with the Catholic Chuch. Boy, he knew how to grab our attention! Obviously he didn't have room to comment on all religions. But we got the point of his lecture using this diagram. I often wondered what it would look like if he included Mormons. Perhaps a slight detour to the Celestial Heavens (Kingdoms). And what about Scientology, a fledgling young perhaps 10-15 year old theology at the time. Anyways, the image above is what I recall from the sketch I made in my bible used for the course. I often think this generalization accepting all religions might have had it's beginning in the Big Change... Vatican II. Yet, remain somewhat Catholic centric. We did have students of non-Catholic faiths. There is a cameo of Fr. Al DiUlio, S.J. There is also a photo with Fr. Scott, S.J. The 4th Annual All Class Chicago Golf Tour was August 7 in Homewood, IL. The Announcement. Hoffman Hall has been refurbished. Part 2 and 3 are on the youtube. Does anybody wonder: Does the Ghost of Joe Campion still reside there? In the 1960s American Jesuit secondary school administrators struggled to resolve a profound tension within their institutions. The religious order's traditional educational aim dating back to the 1500s emphasized influence through contact with "important and public persons" in order that the Jesuits might in turn help direct cultures around the world to a more universal good. This historical foundation clashed sharply with what was emerging as the Jesuits' new emphasis on a preferential option for the poor. This dissertation argues that the greater cultural and religious changes of the 1960s posed a fundamental challenge to Catholic elite education in the United States. The competing visions of the Jesuits produced a crisis of identity, causing some Jesuit high schools either to collapse or reinvent themselves in the debate over whether Jesuit schools were for richer or for poorer Americans. The dissertation examines briefly the historical process that led to this crisis of identity, beginning with the contribution of Jesuit education to the Americanization of massive numbers of first and second-generation immigrant Catholics as they adjusted to life in America in the first half of the twentieth century. As Catholics adapted, increasingly sophisticated American Jesuit schools became instrumental in the formation of a Catholic elite, and many of the institutions found themselves among elite American schools. This elite identity was disrupted by two factors: the cultural volatility of the 1960s and the Jesuits' election of a new leader, Pedro Arrupe. While some Jesuit educators embraced Arrupe's preferential option for the poor, others feared it would undercut the traditional approach of outreach to the elite. Through a case study of one Jesuit boarding school, the dissertation seeks to expand our understanding of the impact of 1960s social change into the less-explored realms of religion and education. I think I shall never see a poem as lovely as a gas station. 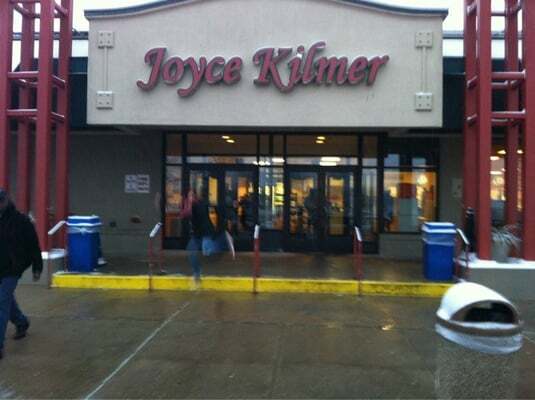 More about Joyce Kilmer and Campion JHS is on the C-K site. Among all the buildings at Campion, Lawler Hall is perhaps the most interesting and versatile. 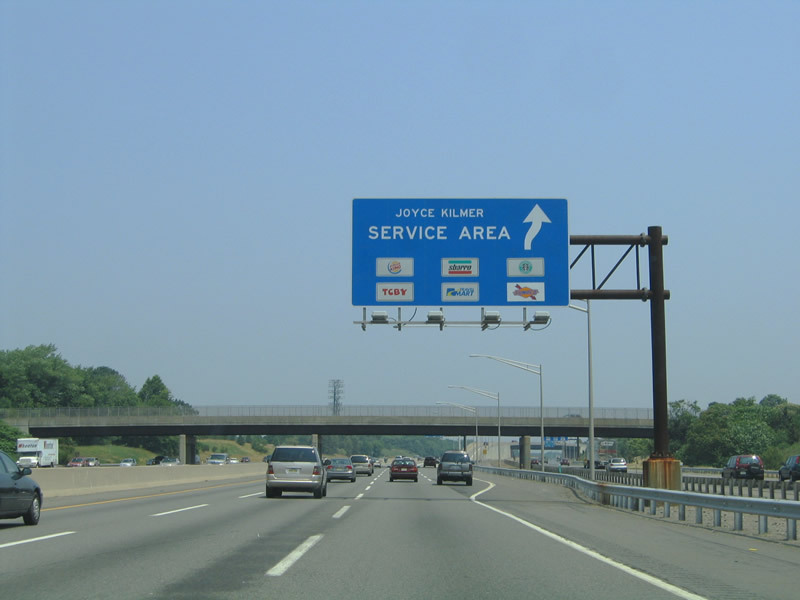 It was built in 1955, at the direction of Fr. A. G. Giunta and was dedicated in celebration of the schools 75th anniversary. 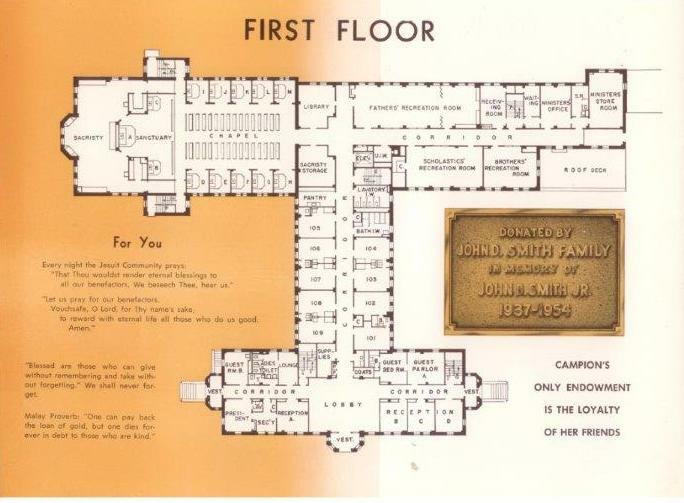 It served primarily as the residence for the Jesuit community, but after the 1968 Kostka Hall fire, several administrative offices were relocated to this building. It was constructed of reinforced concrete, with Bedford stone and tile and brick. It had three floors, a full basement, and an elevator. 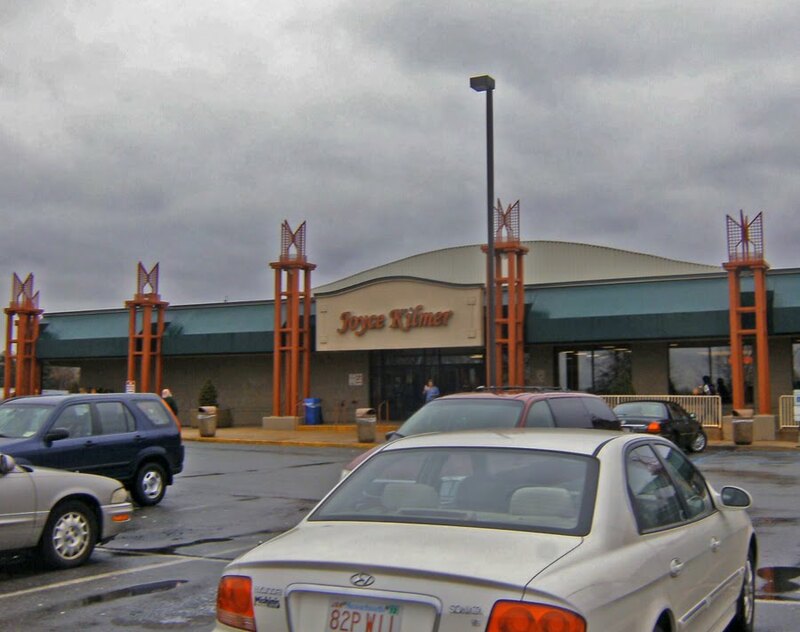 The total area was 91,800 square feet. It had convector-type heat with steam from the school's central power plant. 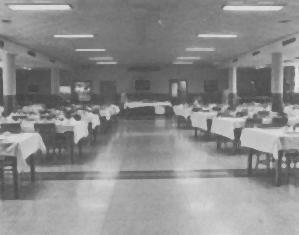 Most of the 'public areas' of the building had air conditioning. 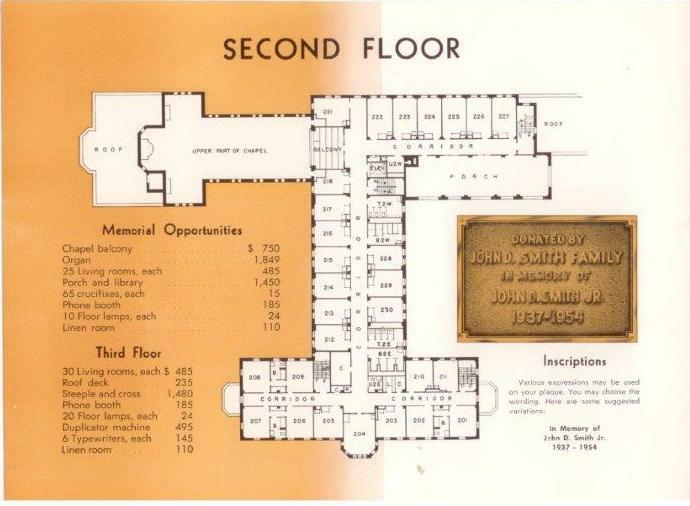 Most of us alumni remember the president's office and the parlors on the first floor. But the building also contained 60 large faculty living rooms, each of which had a sink, just as students had in their dorm rooms. 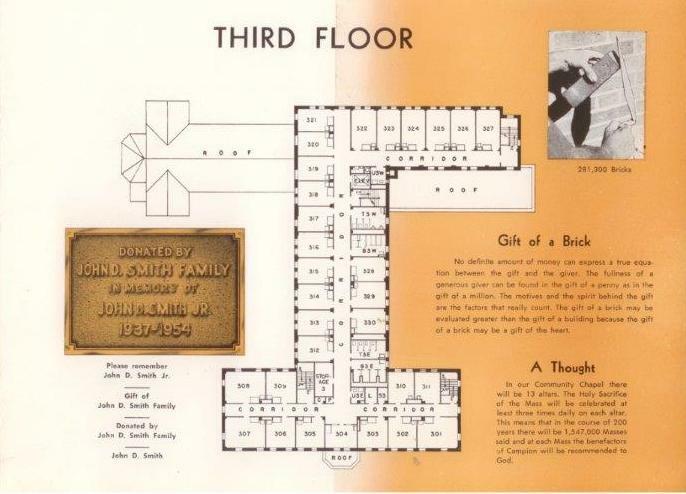 Additionally, there were five faculty suites that each had their own private bathrooms. These were normally assigned to senior members of the Jesuit community who may have had some mobility problems. At the time it was built, Campion was at its peak enrollment, and there were nearly fifty Jesuits at the school. But even at times of peak enrollment, it was usual to have 6 Jesuits assigned to Campion Hall, 8 to Lucey Hall, and 6 to Marquette Hall. 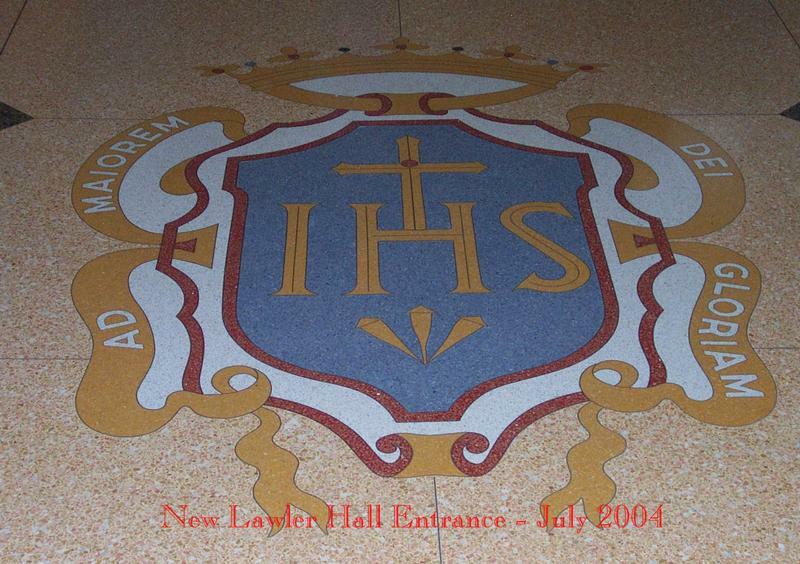 So it appears that, even in peak years, Lawler Hall rarely housed as many as thirty Jesuits. Priests lived there, but so also did the Jesuit Brothers, and, at times, there were a few scholastics who were assigned to live there, too. It is clear that Fr. Giunta expected the school to grow substantially. 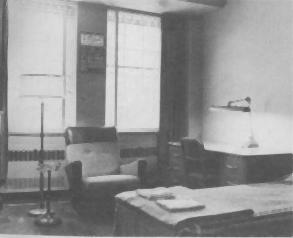 In the early years of Lawler Hall, the school's enrollment was limited by the available student dormitory space. But even after the construction of Lucey Hall (1959) and Xavier Hall (1965) enrollment seemed to have hit a ceiling of about 600 students. And by the 1960s, the Jesuits at Campion started to notice limitations on the number of available Jesuit personnel. 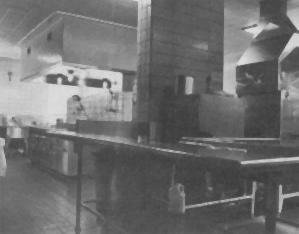 Another important part of the building was the faculty dining room and kitchen, located in the basement level. Above that was the faculty chapel, approximately 112 feet by 74 feet. This chapel had a main altar, two side altars, and ten additional altars, each in its own alcove - so that each priest could offer his own Mass every day during the span of something less than two hours. The sacristy was large, but with 13 priests coming and going, it was, as those of us who served Mass there will recall, a very busy place. The Jesuit brother who served as sacristan had a lot of work to do. And yes, there was a special room in the basement where the altar wine was stored. The most important event of the day in Lawler Hall was the 5:30 a.m. Community Mass, celebrated by the Rector of the Jesuit community in the faculty chapel. Scholastics and brothers were ordinarily in attendance, but priests were not, as each priest said his own Mass, generally at 6:00 or 6:30 a.m. Priests who lived in the dorms said Mass at one of the three altars in the student chapel. The retired senior priests, who lived in the faculty suites, had personal care available to them as needed. This was usually through the efforts of one of the Jesuit brothers. The same physicians as cared for ailing students, such as Dr. Garrity or Dr. Farrell, were available to the Jesuits as the need would arise. Likewise the head nurse (Mrs. Kathryn Brauch in our day) was able to visit as needed. If a priest developed some serious health needs beyond the care available in Lawler Hall, he would be sent to Omaha or Milwaukee, where hospitals were more readily available. During the 1980s, long after Campion had closed, the number of retired Jesuits started to increase, and this model of community self-care became difficult to maintain. 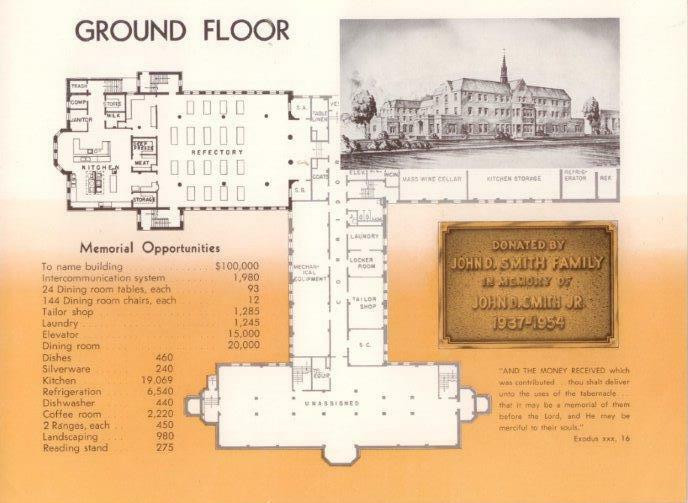 Wisconsin province Jesuits then established the Jesuit retirement community at St. Camillus in Wauwatosa, Wisconsin. 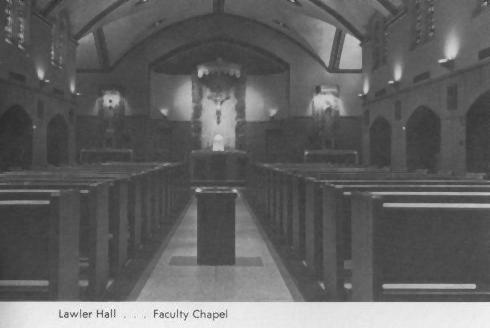 A few Jesuits continued to live at Lawler Hall after the school closed, until the real estate was sold to the Lutherans in 1978. 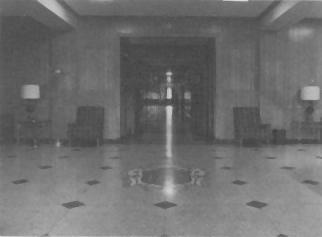 Successor owners of the real estate have used Lawler Hall for classrooms, as Campion Hall was considered unsafe. During its 62 years, Lawler hall has been used for just about every purpose in the operation of a boarding school, except as a student residence. It has been well maintained and even today it dominates the land that used to be the campus of Campion High School. We tracked down Father Walter H. Halloran, a Jesuit who assisted in the famous excorcism that served as the model for the blockbuster movie, The Exorcist. Now living in San Diego [CF EDIT: Fr. Halloran passed away on March 1, 2005], where he is assistant pastor at St. Martin of Tours Church, Father Halloran still vividly remembers the case, which took place in 1949 and involved a young boy named Rob (not a girl) from the Washington-Baltimore area, with the final exorcism conducted in St. Louis, where the boy had relatives. Father Halloran assisted the main exorcist, Father William S. Bowdern of St. Francis Xavier Church in St. Louis. Father Halloran says the boy was 11. Others say 13. But everyone agrees on one thing: it was hair-raising. SD: Father, how many times were you present in the exorcism sessions? Fr. Halloran: I suppose every night for three weeks. SD: Did you have any insight into the origin of the problem? Fr. H: In a way he was a victim to the frame of mind of the aunt (who was into spiritualism). SD: What happened at the end? We're told the Archangel Michael manifested. Fr. H: I was taken off five days before the conclusion, but from what I understand there was a very loud sound, a boom -- sort of like a sonic boom -- and then the boy opened his eyes and said St. Michael came and that it was over. At the same time this took place there were about six or seven priests over in the college church saying their office and there was a huge boom over there and the whole church was completely lit up. Father Bowdern, who was doing the exorcism, and the boy were at the rectory. There was a very, very bright light that lit up the whole church. SD: What was the most striking physical phenomena that you witnessed yourself during the exorcisms? Fr. H: I think the markings on the boy's body. I didn't think there was any way they could have been self-induced, the marks, the scratches, the words, the numbers and that sort of thing that appeared [in blood red]. When the evil spirit took over the child, there seemed to be nothing he could do about it. There were a couple of times when something very dangerous might have happened and he had no recollection whatsoever of anything that took place when he was in one of these sieges. And that affected me, the power that someone or something has over someone. SD: Did you see anything fly across the room or furniture move? Fr. H: Yeah. The first night I was there I was kneeling at the bed on which the boy was lying and the bed started going up and down and then I just about got hit with a holy water bottle that was sitting on the dresser and came flying across the room and just missed me by an inch or two. SD: How high was the bed going? Fr. H: Oh, I'd say eight inches. SD: Was there any particular prayer that the evil spirit seemed to react to the most? Fr. H: Yes. It was more elements or words or phrases in each prayer. Whenever the Blessed Mother's name would be invoked or mentioned, the child would get very, very agitated and when Our Lord's name -- Christ, Our Lord, or Jesus --when that was said, and the same thing with Michael the Archangel. And then he'd become very, very agitated with holy water. With some of the prayers you sprinkle the person with holy water and he'd become wild, physically wild, flying around and that sort of thing. SD: Flailing around with his hands, that sort of thing? SD: Did you see the 'Exorcist' movie? Fr. H: I saw it right after it came out. I went with Father Bowdern and I thought it was a typical Hollywood, glitzy thing, real bizarre, trying to bring people to be fearful or to scream. I was disappointed with it. I thought it was a mess. And Father Bowdern did too. He gave sort of a running negative commentary throughout the whole movie. I thought the two of us were going to be thrown out of the theatre. SD: So there was no neck craning around? Fr. H: No. It was just ridiculous, and the gross one where the little girl is masturbating with a crucifix. It just didn't happen, that's all, and the huge amount of green vomit: Nonsense. SD: There was some spitting, though, wasn't there? Fr. H: Yeah, there was spitting, and when I think back on it, it amazes me, his accuracy. He'd spit right in your eye from about eight feet away. SD: I understand at one point you saved the boy's life. He was ready to go over a cliff, wasn't he? Fr. H: Yeah. I took him out to the retreat house in St. Louis, a very pretty place, to get out of the hospital and get some fresh air, and he didn't know anything about the Stations of the Cross and so I asked if he wanted to learn and he's says, oh sure. He was an affable little kid. Not many 11-year-old would say they were interested in finding out about the Stations of the Cross, but he was. And I explained what each one signified and we got to the 12th station and I said, this commemorates Christ dying on the cross and with that he took off and ran toward the edge of a bluff that dropped down about 150, 200 feet down to the tracks and I hollered at him and nothing happened so I ran and for once in my life I made a decent tackle. SD: Did you have any manifestation afterward, or was that the end of it? Did you come under demonic attack afterwards? Fr. H: No, I never did. SD: Did you fast during that whole thing? Fr. H: On and off I did. Fr. H: No, things like just taking a cup of coffee and a piece of toast and skipping a meal and at that time we were still practicing abstinence during Lent. SD: Did Father Bowdern fast? Fr. H: He did quite a bit, and sometimes he would go off because he was getting worn out [the exorcism lasted six weeks]. SD: How old were you? SD: Anything else that sticks out in your mind when you think back about Rob? Fr. H: Well, when they baptized him -- it was a conditional baptism, because he had been baptized a Lutheran as a baby -- when they went through the ceremony again, on the way down to the church from his uncle's home, he kept grabbing the steering wheel of the car. He had the car up on the boulevard and some close calls of hitting or being hit by other cars. Then when they were giving him first Holy Communion, and I was present for this, he really fought that, he was flailing around and he'd open his mouth and then as soon as Father Bowdern came close with a Host, he'd swing at him. And I was supposed to be holding him all this time. But he'd relax and I'd relax a little bit and then he'd get an arm free and [the voice would] keep yelling, "No! He will not receive" or -- and his eyes were closed! -- he'd take a swing at Father Bowdern in the groin and say, "How's that for a nutcracker?" And then it must have been 15 or 20 minutes of this carrying on and he relaxed and received Holy Communion. SD: Did you fear for your life? Fr. H: No, not really. But I wondered why me, what purpose I was there for. There was one time he asked us to stop and took his pajama top off and he was covered with these marks, scratches, and he said they hurt. It was Holy Thursday and I was telling him about Holy Thursday and he started writhing around in pain and he said, look, I can't stand this. He seemed more affected when I said things like "the Blessed Sacrament" or mentioned the ordination of priests and things like that. SD: What a confirmation of the power of our faith, and the powers that struggle with each other on this earth? Fr. H: Yes. That's what affected me most, and I guess that's why I was so disappointed with the movies. SD: Do you think it was Satan or a demon? Fr. H: During the rite when it was asked its name the only answer I can remember that was given was "legion," which reminds us of the swineherd running into the lake. There was victory at the end and the boy eventually married and settled back on the East Coast after attending Loyola High School in Baltimore.Father Bowdern died more than thirty years after the exorcism, in 1983. Meanwhile the movie, re-released last fall, became one of the most famous of all time. Alumni who have passed in 2016, 2015, 2014, 2013, 2012.